This bracelet is earthy and eye catching. 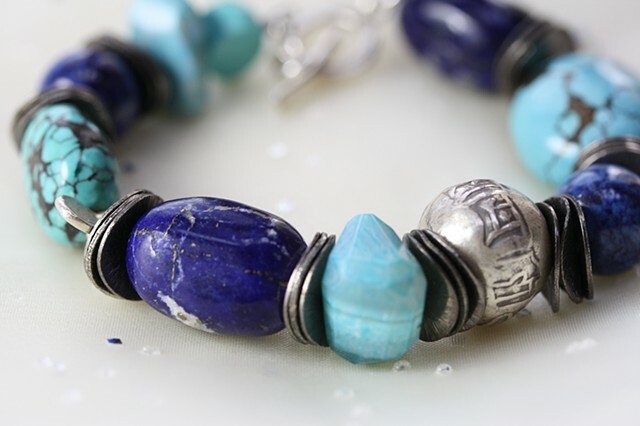 Lapis, turquoise and cheladony stones mix with German silver chips and fine silver Thai beads. These stones are said to aid the wearer in self awareness and spiritual growth. Fine silver toggle clasp. Approx 7 3/4"